[ The Earl of Albemarle, as Lord Bury. ] 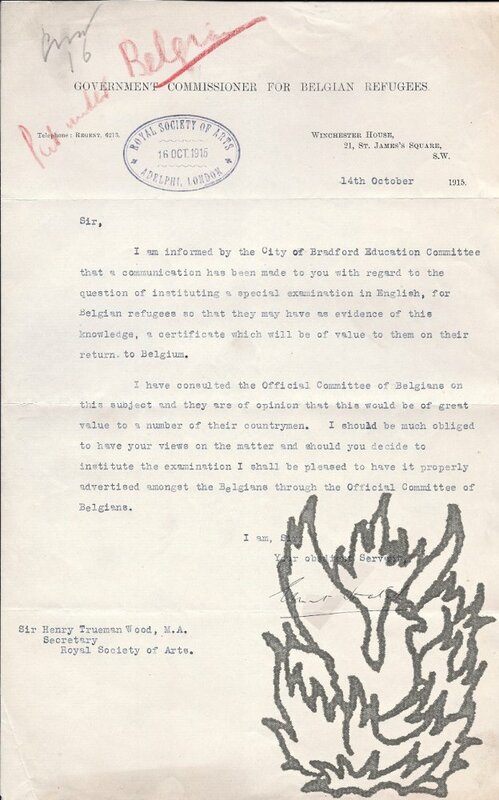 Autograph Letter Signed ('Bury') to 'Major Richardson', regarding the arrangements [ by the National Rifle Association ] for the visit of the 'Belgians' [ Belgian Volunteers ] to Wimbledon. 8 St Martin's Lane [ London ]. 10 July 1867. 2pp., 4to. In good condition, lightly aged and worn. On behalf of 'the Executive Committee', he thanks him and 'the Sub Committee' for the letter 'reporting the conclusion of the arrangements for Reception of the Belgians at Wimbledon', and declares the arrangements satisfactory. The letter concludes with a resolution of the Executive Committee, requesting the Sub Committee 'to continue their labours in this department until after the Departure of the Belgians from Wimbledon'. [ Félicien Rops, Belgian Symbolist engraver. ] Aquatint engraving of a fashionable couple chatting while serenaded by a lutanist, with a Spanish ball behind them around a plinth on which a sphinx sits while being kissed by the winged head Hypnos. [ Without place. ] 1876. Printed in black ink on one side of a piece of 26.5 x 19 cm paper wove paper. Unsigned and without caption or text, but unmistakably the work of Rops, and with his name written in light pencil in the margin. Apparently a proof. Dimensions of plate 16 x 9 cm, and of the illustration itself 11 x 6.5 cm. Aged and creased, with spotting at head. [ Sylvain Van de Weyer, Belgian diplomat and book collector. ] Autograph Signature ('S. Van De Weyer'). On 1.5 x 4.5 cm piece of paper. In good condition, lightly aged. Cut from letter with mourning border. [ Cosmo Gordon Lennox, Scottish playwright. ] Corrected Typescript of the start of his '8. B.C. - 1903 A.D. or The March of Time | A One-Act Play freely adapted from the French of Francis de Croisset by Cosmo Gordon Lennox'. + 29pp., 4to. On rectos only. Heavily-aged and worn, with some damp staining, stapled, with remains of grey front cover and last leaf loose. With numerous emendations to almost every page. Ends abruptly on p.29. A fast-paced comedy, with a seance connecting past and present. Two exchanges: 'Bobbie. I suppose you're going to wear tights again? | Maud. Well, I've a ripping good reason for doing so - two, in fact.' and (during the seance): 'Nerea. Dance for me, I pray you, Oh embodiment of lissom grace. | Bobbie. Typescript, Paginated 76pp. but a few added, eg p.25a, cutting in places), 4to, clipped into brown folder (label partly removed '"The Play Box", Plays Placed, etc'), chipped, fold marks, sunned. Text dulled and stained in parts, but clear. With extensive additions and corrections in Cammaerts' hand, virtually every page, ranging from excising lines and paragraphs to one or two words to sentences to four lines. Note: "The International Theatre's production of M.
[ Louis Haghe, lithographer and watercolourist. ] Autograph Signature. The signature 'Louis Haghe' on 0.8 x 5 cm. piece of grey paper, evidently cut from a letter. In good condition, close cropped and lightly aged. 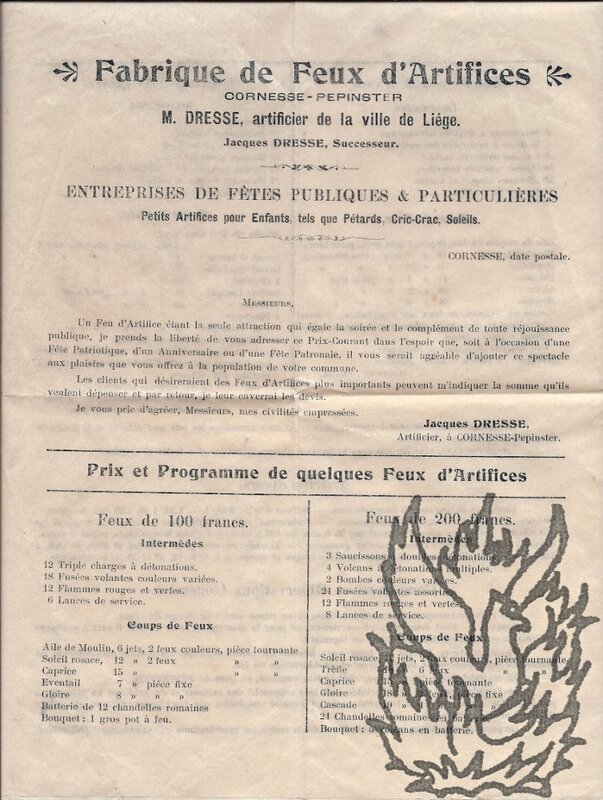 [Belgian resistance documents.] Typed document titled 'ARMEE SECRETE | C?G?48 bis | Historique de la Section 802 depuis ses debuts'. With typewritten list regarding feeding and lodging of 'refractaires' and manuscript table of agents headed 'Combat'. The 'Historique' document dated 'Froidmont, le 25 septembre 1944' [Tournai, Belgium]; the other two items without place or date. A scarce survival, providing a mass of valuable information, written during wartime, with nothing else about this section of the Belgian resistance having been discovered. All three documents in fair condition, on aged and lightly-worn paper. ONE: 'Historique de la Section 802 depuis ses debuts.' Typed document. 3pp., 4to. Rust staining from paperclip at head of first page. Type indentation indicates that this is an original document, not a mimeograph. Giving an account of Section 802 from September 1941 to 9 September 1944. Contract signed by Sir Polydore De Keyser, in which he undertakes to give a copy of the 'Stranger's guide to London and its environs' to 'every one of the travellers who are living, every day, in my hotel [De Keyser's Royal Hotel, London]'. The contract is a form (1p., 12mo) printed in English in Paris by Imprimerie Hervey, and completed in autograph by De Keyser, with his stamp. It is in good condition, on aged paper, laid down on a larger sheet on which the words 'Royal Hotel, | 26, New Bridge Street, Blackfriars' are written in red ink in a large hand. In the same hand, on the form itself, is written: 'Published separately in English, French, German and Spanish'. Coloured drawing by F. Afchain-Vanpoulle of Liège of a design for the processional banner of the Jupille section of the feminist wing of the Belgian Labour Party ('P.O.B. 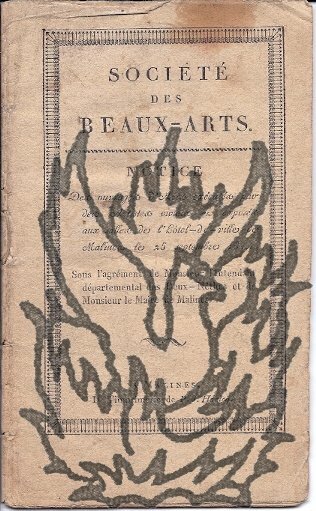 Action Feminine Section de Jupille'), with pencil annotations. Undated [1920s]. Stamp of 'F. Afchain-Vanpoulle, 106, rue Cathédrale, Liège'. On one side of piece of thick wove paper, 36 x 28 cm. The design is clearly and neatly drawn, coloured in orange, gold, red, blue, brown, black, grey and pink. The banner, casting a grey shadow, is shown tied by ribbon with black, yellow and red stripes onto a spearheaded flagpole, with carved horizontal branch. The banner has a bright red ground, and is of irregular rectangular shape (curved outer lower corner), with gold tassels along the lower edge. [Author's corrected copy of nine printed reports to the British Parliament] The only complete copy of the 9 reports printed in 8vo, reports by Sir Henry Barron Her Majesty's Secretary of Legation, on the Manufactures, Commerce, &c., of Belgium. [1866, 1867, 1872, 1873, 1875, 1876, 1879, 1880-1882, 1883] Presented to both Houses of Parliament by Command of Her Majesty. London: Printed by Harrison and Sons. A unique authorial assemblage of excessively scarce items. The nine reports total 344 pp in 8vo. 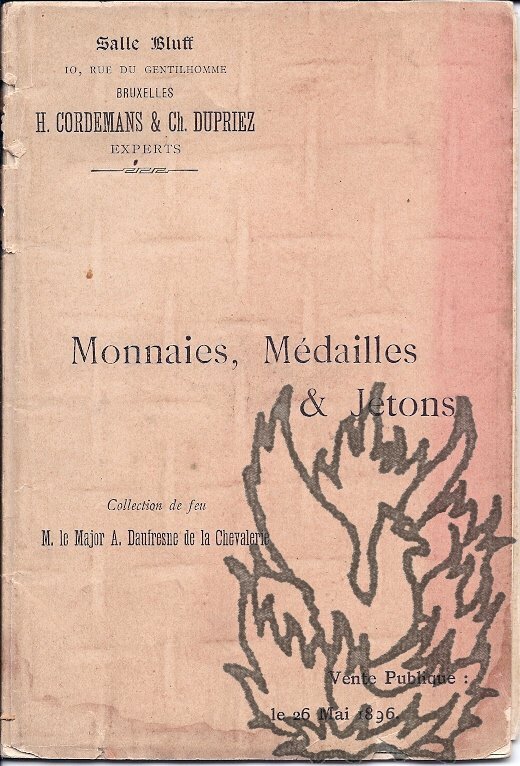 They are bound together (according to a manuscript note) by the Belgian binder Claessens [Art Nouveau binder], who received twenty francs (sixteen shillings) for the job. In brown calf, with marbled endpapers, tooled in black on front cover with Barron's monogram, including a boar and a hand, with the words 'BARRON | REPORTS ON BELGIUM, | 1866 | 1867, 1872, 1873, 1875, 1876, 1879, 1880-82, 1883.' Similar title stamped in black on spine. Two Typed Letters Signed ('Ernest Hatch') from Sir Ernest Hatch to Sir Henry Trueman Wood, Secretary, Royal Society of Arts. 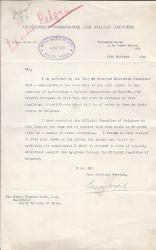 Both 1915, and both on letterhead of the Government Commissioner for Belgian Refugees, London. Both good, on aged paper. Both docketed and with the Society's stamp. ONE: 14 October 1915. Folio, 1 p. Regarding a 'special examination in English, for Belgian refugees'. TWO: 21 October 1915. 4to, 1 p. Headed 'Examination for Belgians in the English Language'. 4to, 2 pp. Bifolium, with first page on verso of second leaf, and second on recto of first. Text clear and complete. Good, on lightly-aged semi-opaque paper. 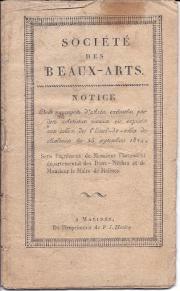 The 'Prix et Programme de quelques Feux d'Artifices' follow a short introduction by Dresse. 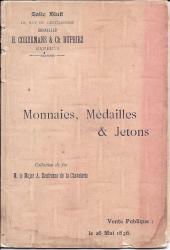 Prices range from 'Feux de 100 francs' to 'Feux de 500 francs', the latter including 'Moulin de Don Quichotte' and 'Chutes de Niagara, en feux au magnésium, 6 forts jets donnant une clarté ébloussante avec une pluie blanche merveilleuse.' Final sections headed 'Articles divers' and 'Conditions et Observations Generales'. Inventaire des documents provenant de la mission Frantz Cornet au Congo (1948-49) et conservés au Musée royal de l'Afrique centrale a Tervuren. 8vo: 87 pp. In original light-green printed wraps. Internally very good. Front wrap with minor spotting and slight damage to one corner. Presentation copy, signed on title 'To Mrs. H. Stanley from M. Luwel | 14. XI. 1960.' Inventory divided into ten sections, beginning with 'Baptist Missionary Society' and 'Missions protestantes au Katanga', and ending with 'Uele'. Uncommon: copies at the British Library, Oxford, Cambridge, University of London and SOAS.